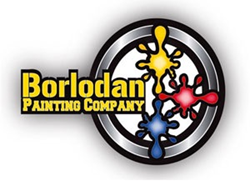 Borlodan Painting Company, which proudly serves the Central Coast of California, has recently launched a new and improved website at http://borlodanpainting.com/. Borlodan Painting Company, which proudly serves the Central Coast of California, has recently launched a new and improved website at borlodanpainting.com/. In addition to a variety of information about the company and their services, the website features information about where they work, testimonials of those they have painted for, awards they have received, their specialties and much more. Since 2011, Borlodan Painting Company have taken pride in the fact they are among the premier Paso Robles painters. In addition to serving Paso Robles, they also serve San Luis Obispo, Atascadero, and all of San Luis Obispo County. The craftsmanship, speed and fair prices of this company help separate them from their competition. This small and local company will treat every job as their biggest yet, no matter the size or complexity. The new and improved website also gives some more in-depth information about the cities they serve, which gives customers peace of mind knowing the painters they chose are local and know the various challenges that come in a given city. The website also covers how their pricing model works. While many painters will have a flat rate, the team at Borlodan Painting Company knows each project is different and they will make sure to arrive on a fair and reasonable price. Whatever the Paso Robles painting needs are, Borlodan Painting Company can help. They specialize in residential painting, commercial painting, fences, furniture, cabinets, barns and much more. No matter how big or small the job, the team is ready to do the job professionally and with the utmost of care. For painting jobs in the Paso Robles, San Luis Obispo or Atascadero areas, give them a call at (805) 295-0194 for a free estimate. They are listed in the Paso Robles Daily News as one of the best house painters in Paso Robles. For any other questions or concerns, feel free to call them or visit their website for other ways to get in touch. This new website for the Borlodan Painting Company was designed by the digital marketing agency Access Publishing.